After helming the abysmal Vacation reboot back in 2015, I wasn’t holding out much hope for Jonathan Goldstein and John Francis Daley’s second film to be any better. Let’s face it: it’s pretty rare for a director (or directors) that made an awful movie to bounce back and make one that is great. Goldstein and Daley deliver that rarity with Game Night, an absolutely hilarious, energetic, original, and surprisingly dark comedy. The film follows couple Annie (Rachel McAdams) and Max (Jason Bateman) who fell in love due to their mutual love for competition. They regularly hold a game night where their best friends Ryan (Billy Magnussen) and equally tight-knight couple Michelle (Kylie Bunbury) and Kevin (Lamorne Morris) also compete with them. After Max’s older and supposedly more successful brother Brooks (Kyle Chandler) returns to town, he decides he wants to host a game night himself and switch it up a little by making a live-action roleplaying game for them in the theme of a murder mystery. Sure enough, at Brooks’ game night, he is kidnapped by mysterious men and taken away in a van. All that is left behind is an unconscious agent and evidence files that are scattered throughout the house. This sets the friends on a path to solve the mystery. One of the most admirable qualities about Game Night is simply how consistently funny and entertaining it is. 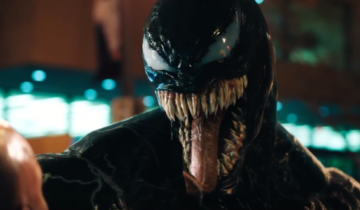 A lot of modern comedies suffer from the “all the best jokes were in the trailer!” curse. Game Night is thankfully immune to that, as nearly every minute of this is filled with hysterical laughs and fun twists to its already zany story. 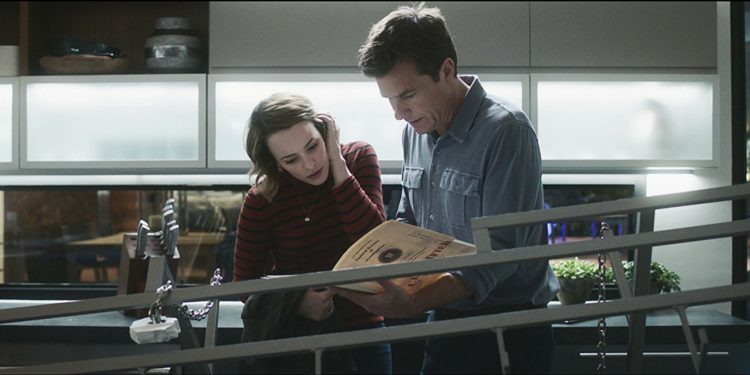 Jason Bateman and Rachel McAdams both share genuine chemistry with one another, but individually give their best comedic performances in years. McAdams has a standout scene with a gun that had me cracking up and Bateman is genuinely the King of straight-faced comedy. Billy Magnussen is also a standout here, as the lovable but clueless friend who brings a new woman over for every game night. On this particular night, he brings over Sarah (Sharon Horgan) because she is “smart and British” but in reality, she is just older and Irish. Kylie Bunbury and Lamorne Morris also share solid chemistry with one another and carry one of the funniest gags throughout the film where Lamorne’s character Kevin constantly tries to guess something about his wife’s past. I won’t get too specific to avoid spoilers, but the payoff is one of the biggest laughs that the film has to offer. However, the standout here is undeniably Jesse Plemons as Max and Annie’s creepy neighbor/local police officer Gary. Plemons turns in an original, creepy, and absolutely hysterical performance as Gary. If you’ve seen his work in stuff like Breaking Bad or Black Mirror, you know he’s a great actor. But this proves that his range extends greatly to comedy. One element of Game Night that genuinely surprised me was how well directed it was from beginning to end. From the slickness in the editing to the great camerawork during car chases and action sequences to a legitimately fantastic use of sound effects, close-ups, and other filmmaking techniques for comedic affect… this is one of the best-directed comedies I’ve seen in many years. So much so that I was left scratching my head, wondering where these talents were hiding when these guys were directing Vacation. Even though I enjoyed this film from the very first scene, once the plot started to kick-in, I knew I would start to lose appreciation for it as it went along and the plot became more predictable. While I can say that there are some formulaic elements at play, for the most part, Game Night is a genuinely well-plotted film with genuine twists and turns throughout. It’s impressive how Daly and Goldstein manage to balance mystery, intensity, and gigantic laughs in a way that feels totally natural to both the story and characters. This is something you rarely find in most studio comedies these days. The worst thing that I can say about Game Night is that some areas in the film contain fewer laughs than others, but that isn’t even a huge issue for me considering that was usually in service towards the story or characters – both of which are elements that end up paying off in a satisfying way by the end. 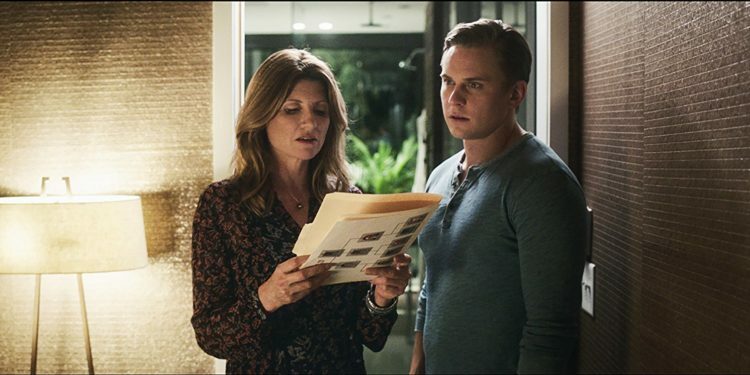 Yes, it loses a tiny bit of steam in the third act – but it still features some heavy laughs and doesn’t take a cheap road out of closing the story. It’s not a perfect comedy by any means, but Game Night is genuinely a perfect film to see with a big audience on a Friday night. It has plenty of surprises, laughs, and even a solid amount of heartfelt moments between its characters that feel earned by the end. I was really impressed with how this turned out. If Daley and Goldstein do end up directing DC’s Flashpoint film, then I’m now considerably more excited for it than I was before. I can’t wait to see what these guys do next. 4/5. GIVEAWAY — Bring the Cast of "Love, Simon" to Your Town for a Special Screening!